We all HODL cryptocurrencies, don’t we? But have you ever tried spending them on goods and services without a second thought? My guess would be no. And that’s because cryptocurrencies are highly volatile which can depreciate or appreciate 20-30% in a matter of hours. And that’s mostly due to the already incurred losses or due to its prospects of appreciation in value. Investors also don’t have a way out when the market starts to free fall as fiat on-ramps can take up time and are not instant. Therefore, in such cases, you need something stable. Talking of stable, what can be better than Stablecoins! 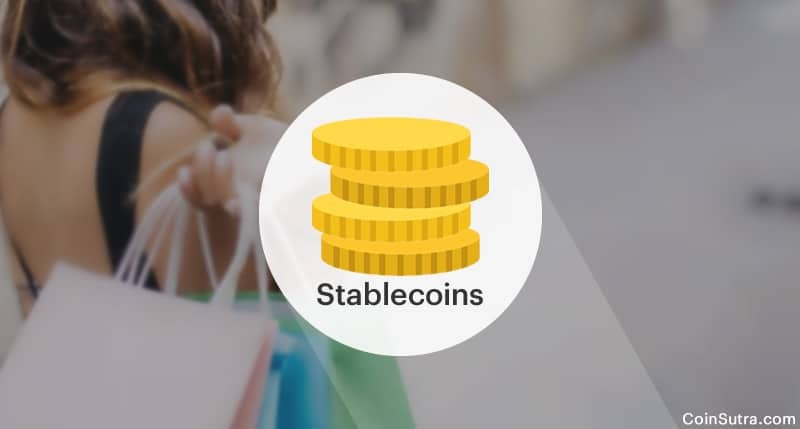 Stablecoins are an exciting type of cryptocurrencies which are stable and are pegged (or linked) to real-world assets such as fiat like (USD, EUR, CNY or JPY) and sometimes even gold or oil, so as to keep their value stable unlike the price of BTC or ETH which keeps varying in USD every time. 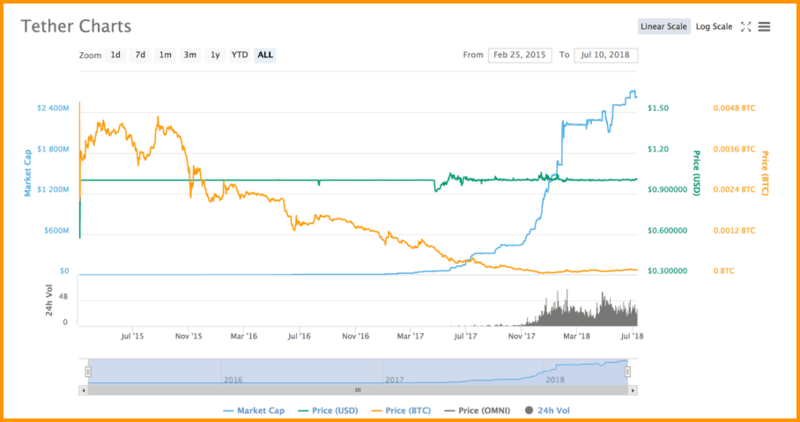 Other cryptocurrencies often back stablecoins, but that is not always the case. Just like other cryptos, stablecoins also thrive on their blockchain, or sometimes as cryptographic tokens which are open for everyone to see on the blockchain. But unlike other cryptos, they aren’t stable. On the other hand, you know cryptos were never stable and aren’t actually backed by any physical asset, but they do have their own blockchains. Being a stablecoin doesn’t mean they are linked to a central bank or nation-state. Instead, they are reliant on their cryptograph and stringent audits to make sure the underlying asset is indeed present and is where it needs to be. Stablecoins are also accessible worldwide and are not controlled by jurisdictions. But for on and off-ramps of stablecoins one mostly needs to do their KYC which can make it indirectly unsupportive in some jurisdictions. (Will talk about it in detail further in the article). Stablecoins, as I shared before, are relatively stable and act much like fiat. Imaging, you are a coffee merchant, and you have received a crypto in return for your service and have received $50 for it. But let us say the crypto depreciates tomorrow 20% and now your crypto worth of $50 is now $40. Reverse scenario, you are a customer who paid in crypto and the second your transaction to the merchant was confirmed, the price of crypto increased by 20%. Now, you must be feeling you could have paid merchant a bit of less fraction of your crypto if you had waited for a minute. The point I am trying to make here is not that the other cryptos like BTC or ETH or LTC are not fit for a trade. Instead, they don’t give you the carefree experience while spending or receiving. So having a stablecoin or stable crypto which acts very much like fiat gives them the mental peace to spend and receive cryptocurrencies. But this is the shiny side of it. There are also complicated sides of stablecoins which we are going to discuss further in this article after discussing its types. Fiat collateralized stablecoins are stablecoins that are being backed by fiat reserves such as USD, EUR, etc. Crypto-collateralized Stablecoins those which are backed by other reserves of cryptocurrencies. And it merely means a bucket of cryptocurrencies account for the price stability achieved by that particular stablecoin. But this method is highly dangerous and only works in a happy-go-lucky situation. Moreover, it hasn’t entirely been tested by the markets. 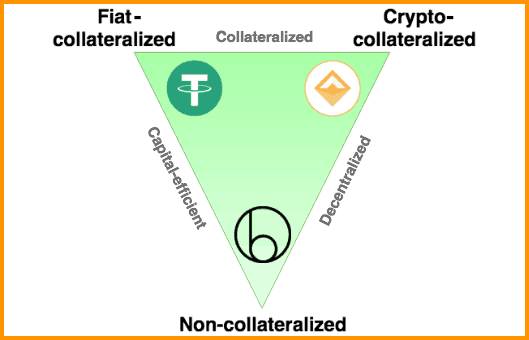 Non-collateralized, as its name suggest, are stablecoins that are backed by nothing, but their supply is algorithmically governed by its smart contracts which keeps expanding or contracting to keep the price stable. Stablecoins have its own pros and cons. And in my opinion, the cons somehow overpower the pros but still, I will list them and have you decide it for yourself. 3. Tends to be more centralized as one company controls it. 5. All three types run into blockchain oracle problem which is unsolvable until now. In my opinion, stablecoins are useful only when they are stable and implemented with stringent audits. These audits should be decentralized in someway if we don’t want to create a muddle like what USDT has. Also, I believe if you are making any of these three types of stablecoins then you need a robust governance mechanism or have to solve the oracle problem first. Otherwise, they don’t make much sense. Share this post with your crypto friends who aren’t aware yet of stable coins!! Truly decentralized, unbreakable smart contracts, working marketplace and whitepaper just released for Dynamic Peg. Please check it out! I was not aware of anything about stable coins.